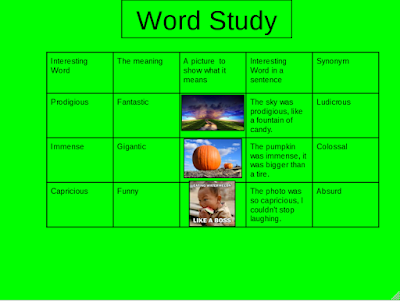 For reading I have created this word study DLO. I had to think of interesting words and write the meanings of them. Then I found photos of the meanings and wrote sentences with the word in it. 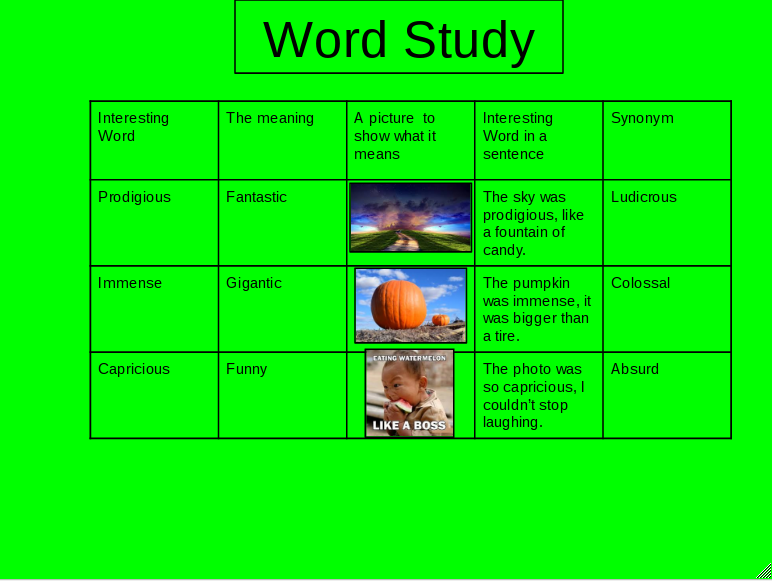 It was fun using different words and seeing what they look like in a photo! Well done Latham. Hope this helps you a lot and keep you good work.